I’m always concerned with Colorado’s freeze/thaw cycle and how my outdoor installations will hold up. So I test, test and test my glues, cement and grout with my stained glass and high fired tiles. Before using thinnest cement to add the stained glass to the sculpture this Colorado winter, I will test the concrete for my formula to avoid cracks of any kind. So far no cracks and the black and small amount of red glass is firm and solidly in place. If you look closely you can see some ceramic feathers. These feathers are being testing the strength of the wire system that the feathers are hanging from. Wind and weather are no problem. 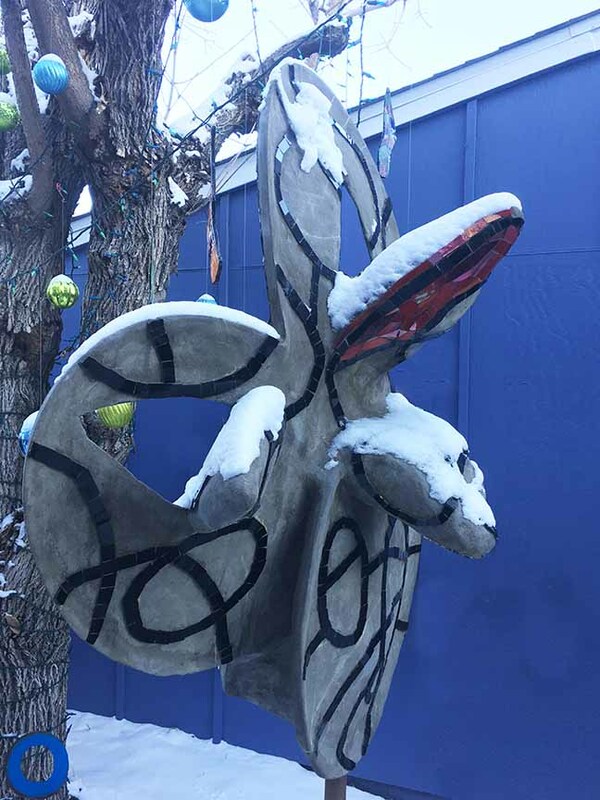 Even the wind-chime effect of hitting the sculpture has proven their strength..
Fire Dance sculpture came back from an indoor gallery and is now in the backyard in front of Seed. 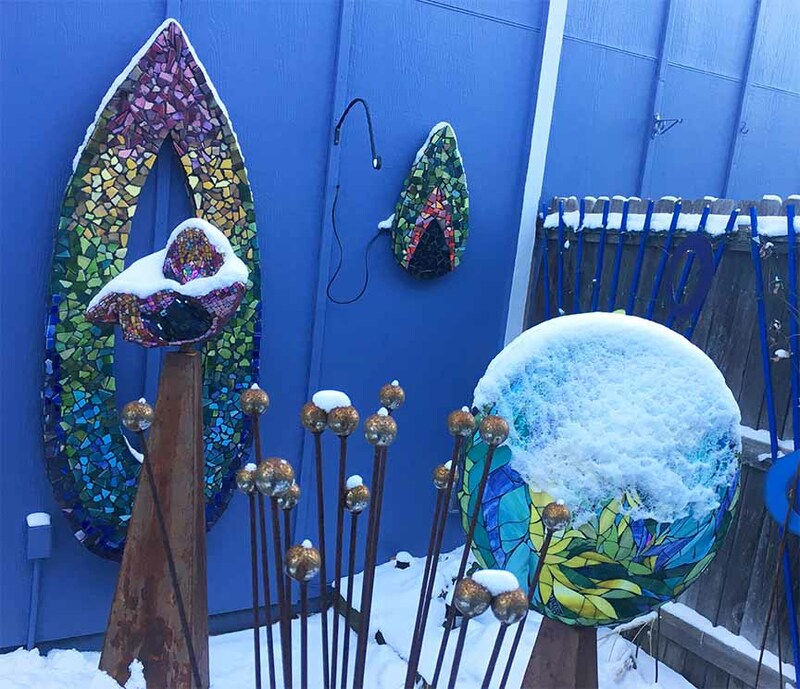 Calypso is in the right foreground and is waiting for installation in May of 2019 for the Art For Awhile program in Lafayette Colorado.